Allin receiving an "admonition" from the Rev. 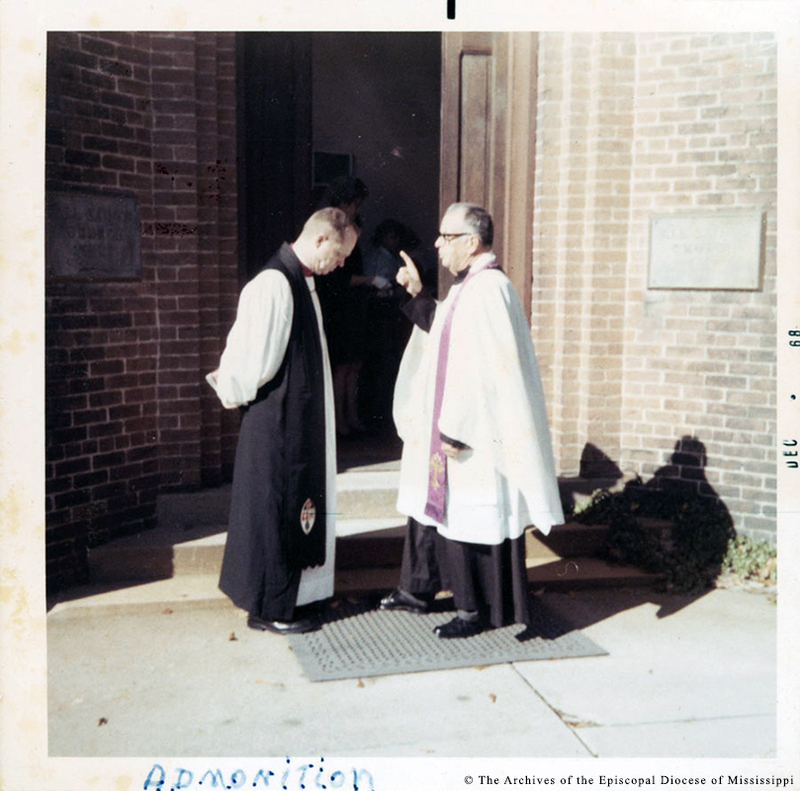 Jones S. Hamilton at All Saints' Church, Grenada, MS, 1968. “Allin Admonition,” Venture In Ministry: John Maury Allin, accessed April 19, 2019, https://www.episcopalarchives.org/jma-presiding-bishop/items/show/115.